Until recently, pocket-sized portable projectors were nothing more than a novelty idea, which allowed for some fun but didn’t offer a whole lot in terms of the viewing experience. While these devices still remain niche products, there has been an upswing in terms of quality, and quite a few OEMs are stepping up their game in this segment, delivering some amazing projectors, that can also fit in the palm of your hand. 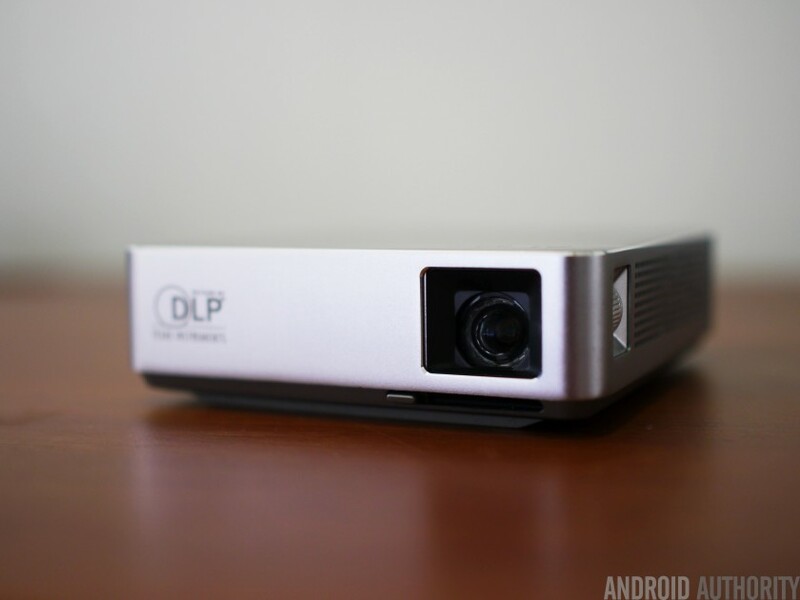 Here is a roundup of some of the best portable projectors available in 2015! Let’s start with the UO Smart Beam Laser. 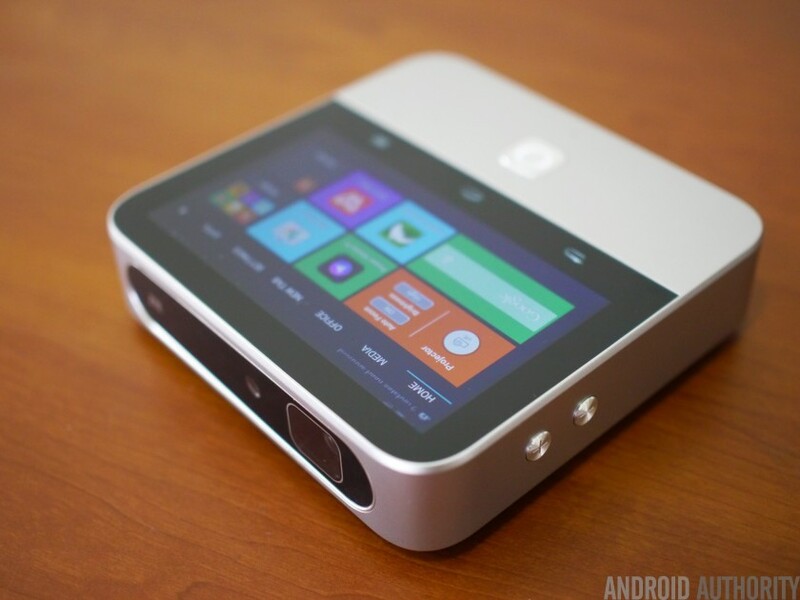 This is one of the smallest projectors on our list, and one of the more interestingly designed ones as well. 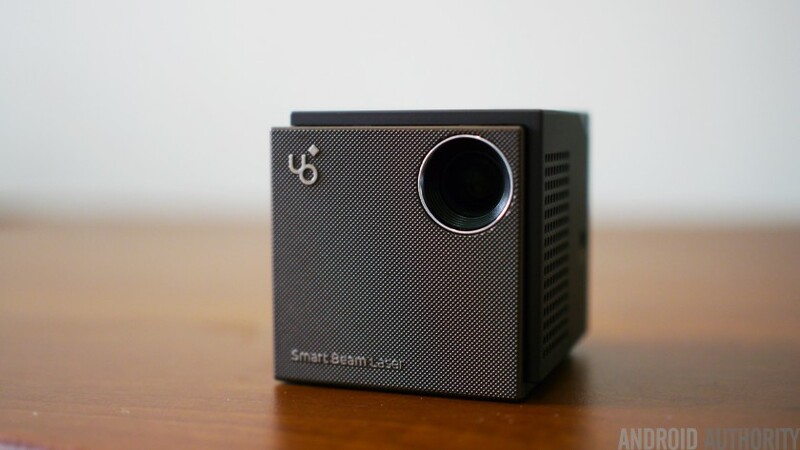 Weighing a little over 500 grams, and with dimensions of 2.2-inches all around, the UO Smart Beam Laser is actually the world’s smallest HD LCOS Laser projector. This projector comes with a native 720p resolution and features fast laser auto focus, allowing for some very crisp and clear images instantly, no matter where you move it. The picture is quite bright, rated at 60 lumens, and so watching videos and movies even in non-pitch black areas is still manageable. The overall quality is great, and things stay in focus at pretty far distances, with a max screen size possible of 100 inches. The picture does tend to have a harsh bluish tint at times, but it’s not very obvious until you compare it to another projector, and is something that is easy to get used to. The projector does have built-in speakers that get loud enough to handle watching anything on the go, but isn’t suitable for watching a full-length movie. The quality of the sound isn’t that great either, and while it isn’t completely horrible, the sound is a little muffled, which is not helped by the sound that the projector fans make either. Unfortunately, there is no audio output, so connecting external speakers of any kind is also out of the question. The device does offer multiple options when it comes to setting up a video for playback. 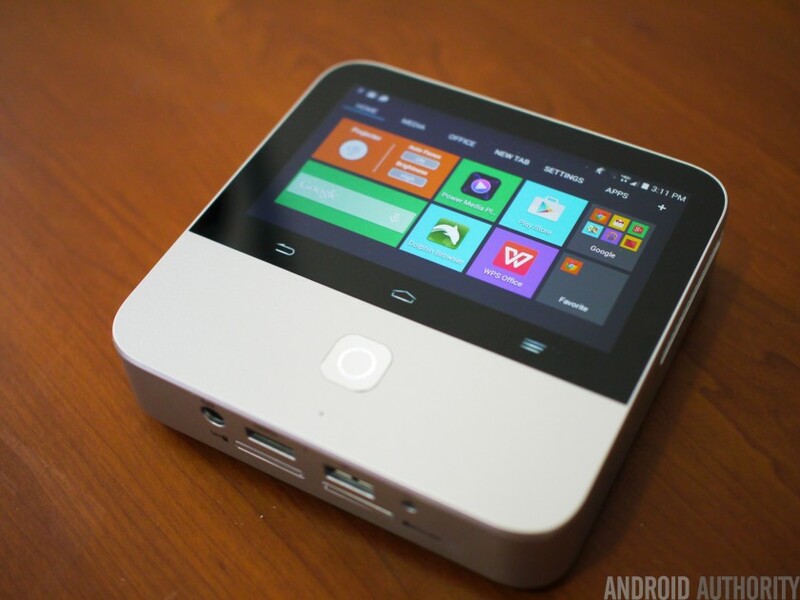 You can connect your smartphone to the projector wirelessly using DLNA or Miracast, and it also features a mini-HDMI port which can be used to plug in your laptop. 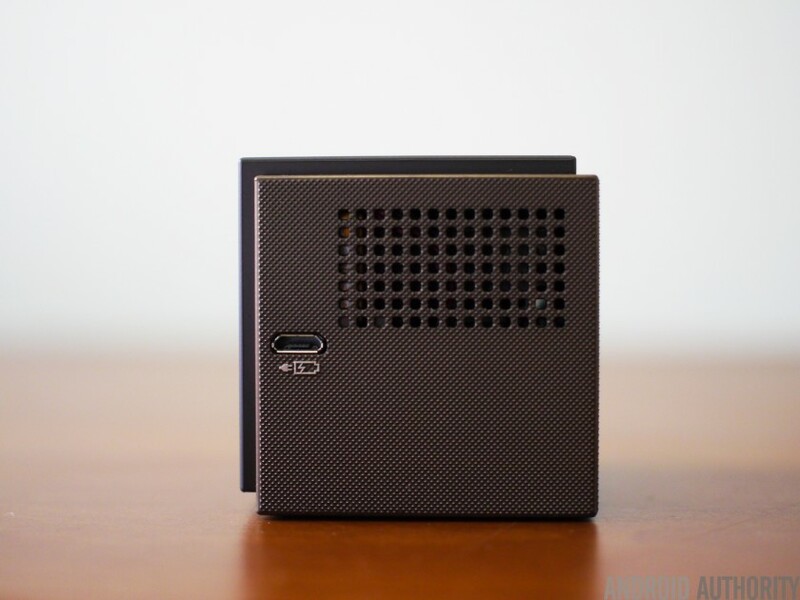 Under the hood is a 4,200 mAh battery that can last for up to 2 hours, and a little more if you are connected with HDMI, so if you do plan to watch a long movie, it’s a good idea to plug the device into an AC power outlet. The United Object Smart Beam Laser projector is priced at $ 420, and depending on where you order it from, also comes with a free tripod stand. This projector offers amazing video quality given its very compact size, and while the speakers aren’t the best, and the battery is on the smaller side, the biggest selling point of this device is its portability. It’s very simple, very small, and most importantly, displays a beautiful picture. 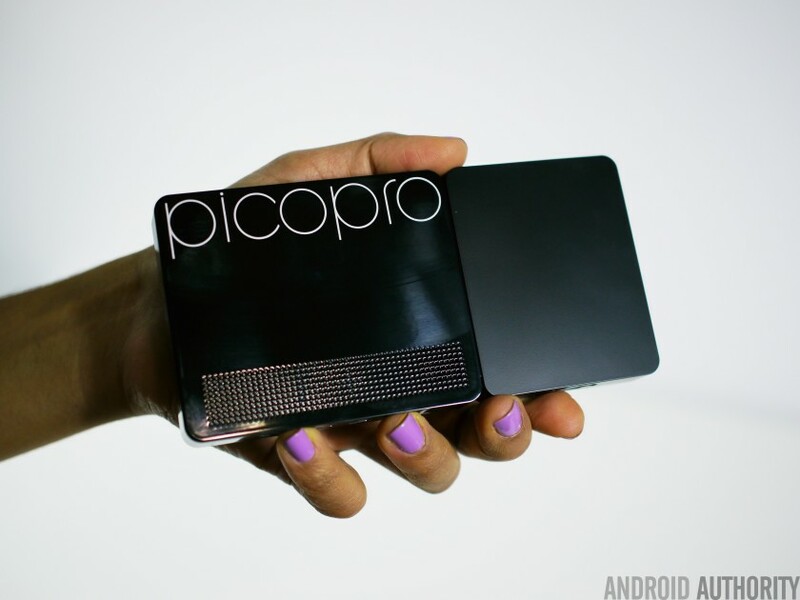 Next up is the PicoPro by Celluon, another projector that is beautifully designed, is also one of the thinnest projectors on this list, with a thickness of just half an inch. The device is also very portable, and should be able to comfortably fit in most pockets, with its length of 6 inches, and weighing just 181 grams. It also a has a very interesting design, giving an appearance of two bricks being stuck together, even though it is just one solid body. It also comes with a stand offering 360-degree rotation, which makes it very easy to find a surface for the projector to rest. The projector light is rated at 32 lumens, which is the lowest on this list, but the PicoPro can get plenty bright, and offers fantastic quality as well, with its 720p resolution. 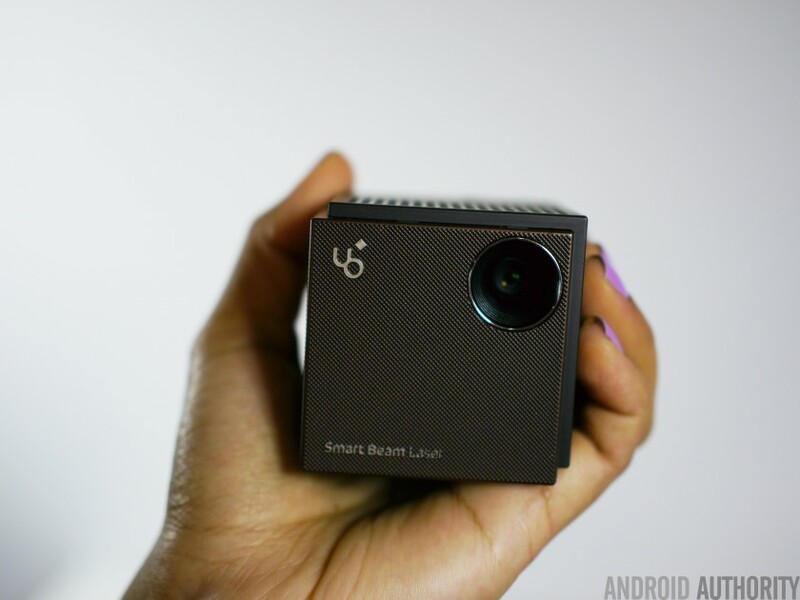 It also comes with a infinite auto focus feature, which means that you don’t ever have to worry about fiddling with the focus, and it works just as well as the laser auto focus of the UO Smart Beam projector. The picture is always very clear, and the image doesn’t go out of focus up to a screen size of 250 inches. The color temperature can be a little warm and lean more towards a purplish hue which is very apparent, and will likely bother some users. The built-in speakers of the PicoPro unfortunately don’t get very loud, but the quality of the sound itself is fantastic, and is definitely the best audio quality when compared to the rest of the devices on this list, with sound that is very crisp and not tinny. Since this is a fan-less projector, the projector stays very quiet, and there is no unnecessary noise that distracts the viewer. While the PicoPro does offer great sound quality, there is a standard audio jack available, letting you connect your own set of speakers or a pair of headphones. 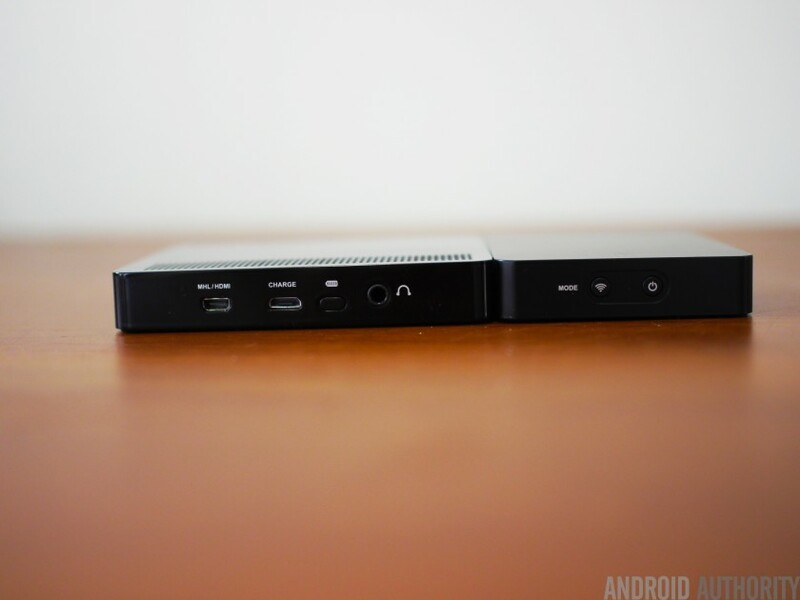 The device supports the standard suite of connectivity options, including DLNA and Miracast, and also comes with a mini-HDMI port. We aren’t exactly sure as to what the capacity of the battery is, but the device lasts for around 2 hours when connected wirelessly, and can go beyond 3 hours when wired. You have the option to connect the device to a wall outlet as well. 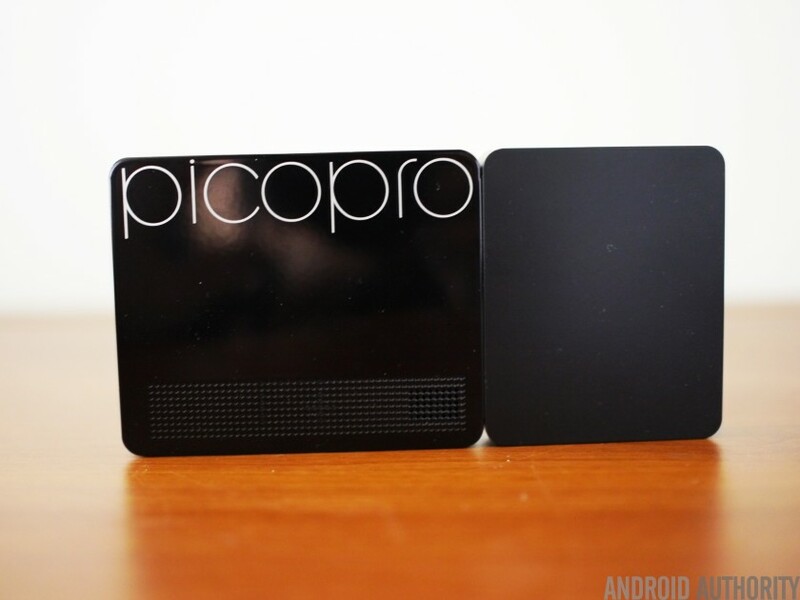 The PicoPro is available for $ 349, with color options being black, silver, and gold. The Celluon PicoPro projector is on the cheaper side, but offers better sound quality than all the other devices on the list. The availability of a headphone jack is a plus over the UO Smart Beam projector, but unfortunately, the big drawback here has to do with the most important aspect of a projector, and that is the purplish tint on the picture. 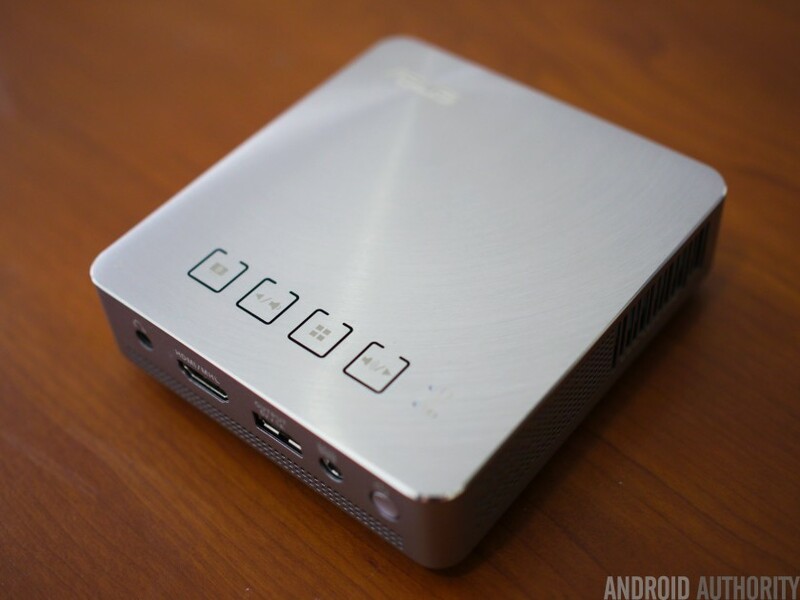 Next up is the ASUS S1 Mobile LED projector, which may not be as eye-catching as the others, but is still quite compact and light weight, with its dimensions of 4 x 4.4 x 1.2 -inches, and weighing around 340 grams. 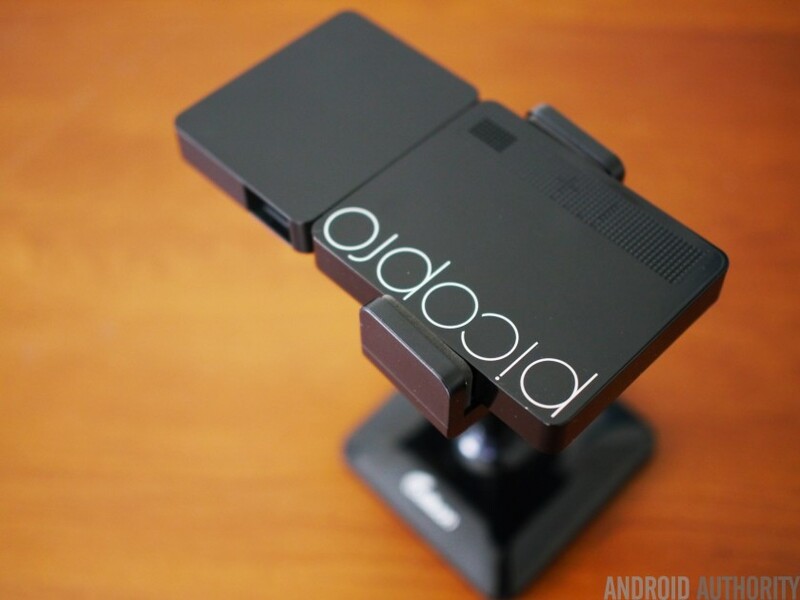 The design is pretty standard, but the build quality is solid, and while a tripod doesn’t come in the box, the projector does feature support for one. The ASUS S1 also gets incredibly bright, with a rating of 200 lumens, but the resolution does take a dip to 480p. While it may not look as crisp as the other projectors on this list, the overall quality may actually be better than the first two devices above. Colors are beautiful and the picture is very bright, and there isn’t any obvious tint or hue to ruin the experience. You also have a lot of control over the quality of the projection when you dive further into the settings, where you can change the contrast, and even select different modes, depending on the type of media you are viewing. There is no form of auto focus available however, so you will have to resort to using the manual focus wheel, placed on the right side of the device, to adjust the focus correctly. One nice about thing the ASUS S1 is its Ultra Short Throw ratio, which makes it very easy to play videos at short distances. The built-in speakers aren’t of the best quality, but they are certainly the loudest, when compared to the rest of the devices mentioned here. There is a standard audio jack available as well, to allow you to use the projector with a pair of headphones or a set of speakers. 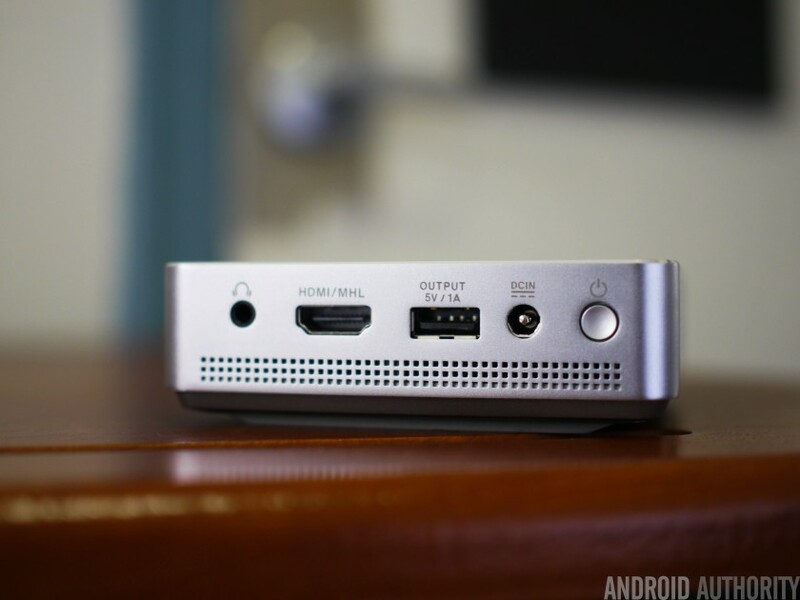 As far as connectivity is concerned, there is a standard HDMI port available, and a USB port as well, as this device can also be used to charge your mobile device. There is no wireless connectivity though, and you will need to use MHL to connect to your smartphone. Given its slightly larger size, ASUS was able to squeeze a 6,000 mAh battery into this projector, allowing for a battery life of 3-4 hours. The ASUS S1 may not feature the most interesting design, and its resolution is lower than the rest, but the picture quality is actually pretty great, and it gets very bright. Priced at around $ 300, it is also the cheapest of the lot, and definitely worth keeping in consideration. 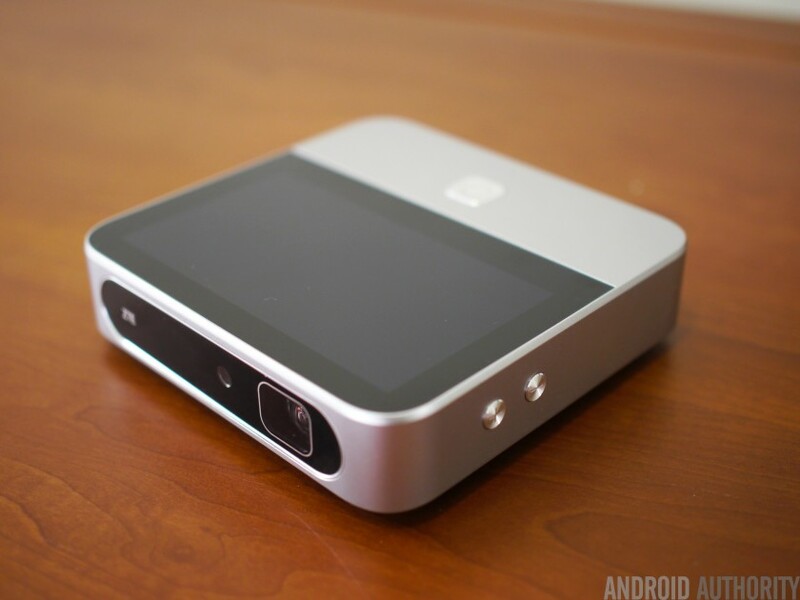 Finally, we come to the ZTE SPro 2, which is a portable projector that is in a league of its own compared to the other devices referred to in this list, and this is not only because of the fact that is also an Android device, running Android 4.4.4 Kitkat, and sports a 5-inch touchscreen. 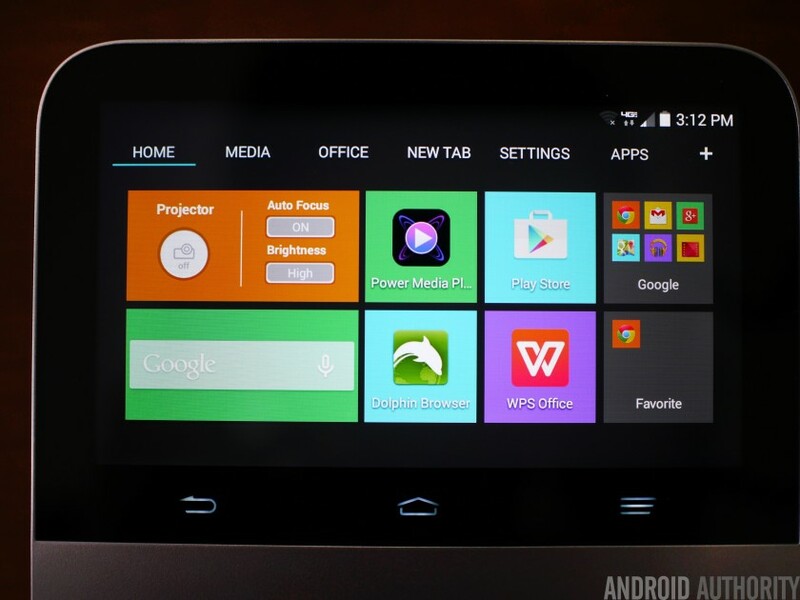 The 5-inch display can be used as you would a regular smartphone, where you can surf the web, browse through photos, message your friends, and download apps from the Google Play Store. 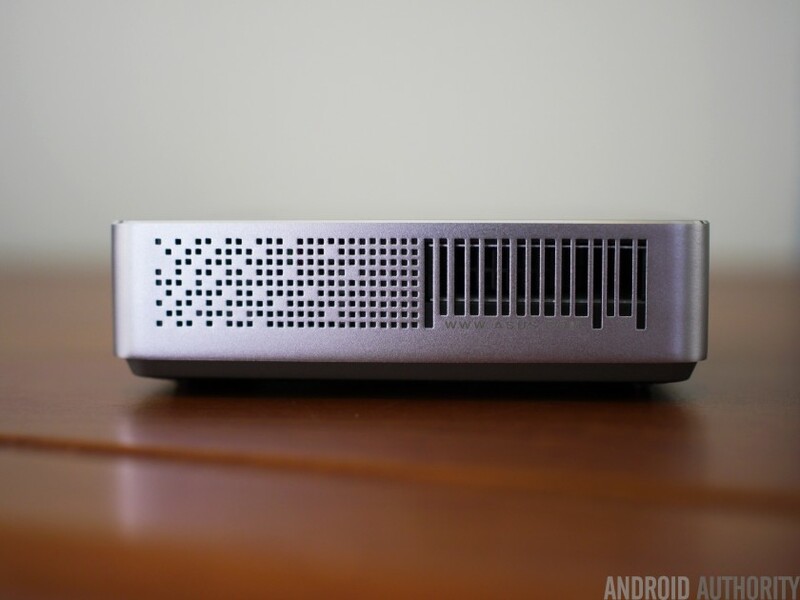 The projector can connect to WiFi, but the device is also available from AT&T and Verizon Wireless in the US, and you can take advantage of 4G LTE data connectivity with this projector as well, allowing you to project videos directly from Youtube, Netflix, and other media streaming websites. If you decided to not opt for a data connection and find yourself without WiFi, local storage is also possible, with the device featuring a microSD card slot, with support up to 64 GB. Wireless connectivity via Miracast is also available, and there is also an HDMI port, and USB port for charging your mobile device. The picture quality is by far the best of the lot, with its rating of 200 lumens and 720p resolution. You get a nice, bright, crisp, and clear image, and colors are absolutely beautiful, at a maximum of 120 inches. There are no weird tints or hues or strange color temperatures to worry about, and the color reproduction is very accurate. There is an auto focus feature, but the implementation is slower than the others, and the device does tend to re-adjust the focus every now and then even if the device is not moved, but you do have the option to turn this setting off once the device is set down correctly. There are different options for brightness as well, including low, medium, and high, but the last option will require the device to be plugged into an AC wall unit. 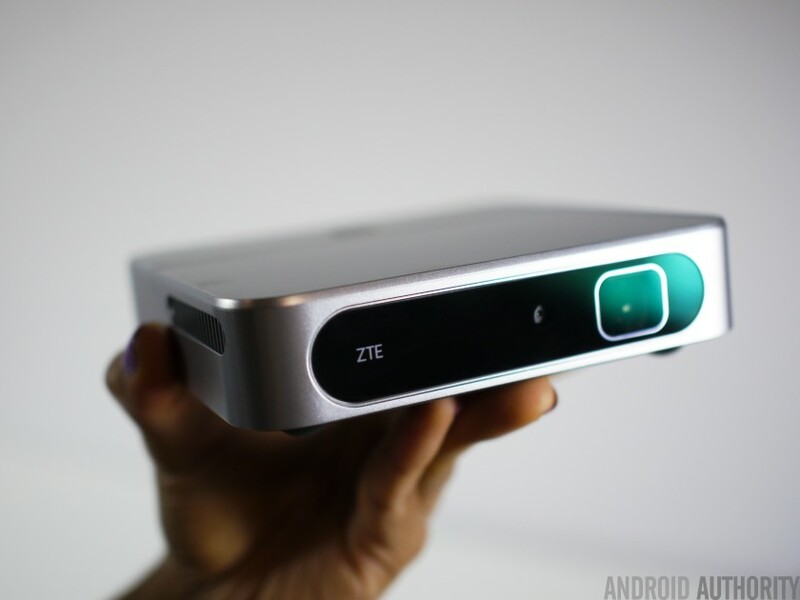 Another feature that the ZTE SPro 2 has that the others do not is Keystoning, which means that the projector will automatically correct the angle to prevent the picture from stretching, so even if the projector is not sitting perpendicular to the wall, the projector image will be of a rectangular shape. 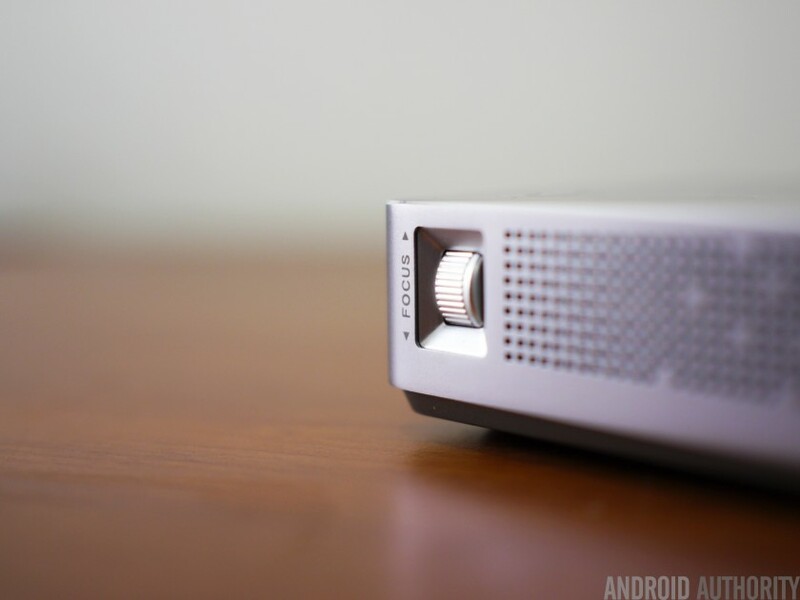 The speakers on the projector are about the same quality as that of the ASUS S1, albeit a little quieter, but there is also a headphone jack available to connect external speakers. 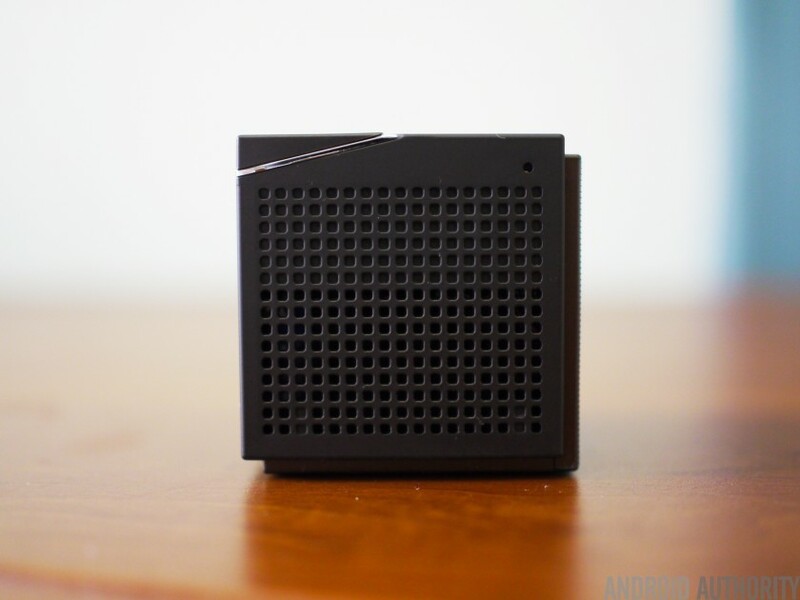 The device also packs a 6,300 mAh battery, which keeps things running for around 3 hours. With dimensions of 5.3 x 5.2 x 2.1 inches, the ZTE SPro 2 is not as portable as the others on the list, but it certainly outperforms the others in all other aspects. It is also the most expensive as well, with a price tag of $ 750, but it can be found for cheaper directly from AT&T or Verizon Wireless, at about $ 600, who also offer the option of picking up the device with a 2-year contract to include a data plan. 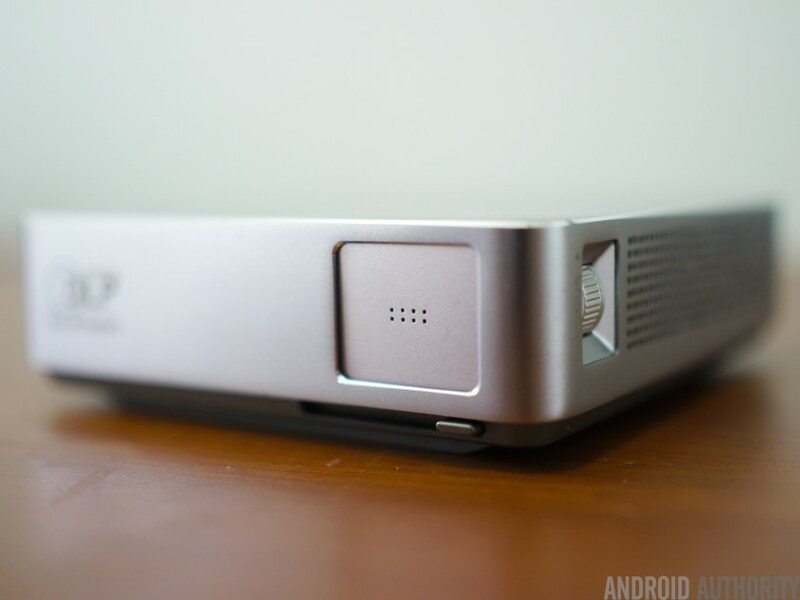 So there you have it for this roundup of some of the best portable projectors of 2015! With the choices listed above, there is a little something for everyone here with these four great portable projectors. Whether you are looking to impress people with a very stylish and compact design, have the ability to create a home theater anywhere, project beautiful video without breaking the bank, or going all out with a high-end Android-based device, there is something that will best suit your needs.